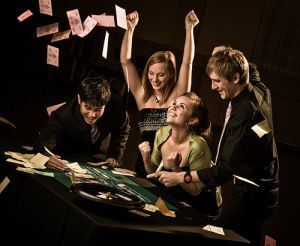 If you have been playing free baccarat to learn the game and are ready to step up the pace with online baccarat, there are some things that you need to know and apply to every hand you play. You will have to design the most effective playing style that allows you to control how much you spend and learn not to tread in dangerous waters. You have learned the basics and now need to learn some of the baccarat strategies to bring your game to the next level. It is time to learn money management, how to determine where you stand and setting limits based on what you find out. The advice that follows will help you gain a better understanding of how the game is played at higher levels and comes from the collective experience of professional players. If you have a decent understanding of the basics these tips will enable you to get more experience without losing your bankroll. The following tips are about Baccarat strategies, managing your bankroll and keeping track of the game. Please keep in mind that different players have different styles. You should develop your own style and not worry about the betting techniques of other players but remember about baccarat probabilities. It is important to keep your bankroll as high as possible simply because Baccarat is usually a high stakes game. Your initial bankroll should be between 20 and 50 units, higher if you can manage it and you should be ready to risk a large part of it at anytime. If you are playing in a casino you will be given a score card. This is used to keep track of the bets and try to spot different trends. The thing to remember though is that while using the score cards will give you some insight into other gamblers style of play it will not help you spot patterns in the cards. Baccarat is essentially a game of chance and there are no real patterns. If you are looking for any type of trend though it is best to look during the first 25 hands of the first shoe. Betting on tie is the best way to lose money over the long haul. Every hand gives the house the edge but tie bets give the house the highest edge, sometimes as much as five times as high, than the other two possibilities. Check the commission on each bet. Less than 5% you should bet the house, more than 5% and the player is the best bet. Never bet against a streak of either Punto or Blanco. Bet with the street of either one for about three bets then stop betting. Wait for the streak to end.